THE PLANNED CONTROVERSIAL harvesting of a ‘seaweed forest’ off the coast of Cork has been dealt a blow after the High Court gave leave for a judicial review to be carried out into the granting of a licence. The Protect Our Native Kelp Forest’ protest group has been campaigning against plans by Tralee-based bioengineering firm BioAtlantis Limited to harvest kelp in the waters of Bantry Bay. The company was officially granted a licence to do so by then-Minister for the Environment Alan Kelly in 2014. Current Minister for State at the Department of Housing, Planning and Local Government Damien English granted final approval late last year for BioAtlantis to begin its work. The firm – which plans to use the harvested seaweed as a means to develop alternatives to the use of antibiotics in the feed of farmed animals – was expected to begin harvesting around this time. 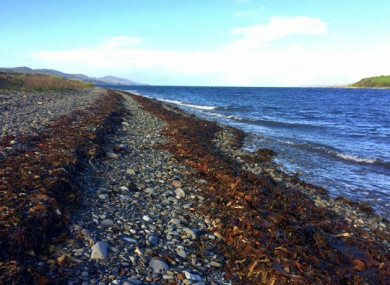 However, a member of the Protect Our Native Kelp Forest sought leave from the High Court that a judicial review be undertaken into the decision to grant the licence. The High Court granted leave for this judicial review to be carried out, putting an indefinite delay on the planned harvesting operation. A spokesperson for the campaign told TheJournal.ie that they were “delighted” with the decision, but would not be commenting further while the review was being carried out. The group was previously critical of the process by which the licence was granted, with the main source of contention being the perceived lack of consultation with the local community regarding the harvesting project. It likewise claims that an Environmental Impact Assessment (EIA) should have taken place in advance of the granting of the licence. We cannot comment on the Judicial Review. However, we wish to make the point that if BioAtlantis does not harvest the kelp, it will be washed ashore and rot. Is this not a complete waste of a resource? A spokesperson for the Department said that it would not be making any comment as the matter was now sub-judice. Email “'We're delighted': Controversial Cork seaweed harvesting project delayed as judicial review granted”. Feedback on “'We're delighted': Controversial Cork seaweed harvesting project delayed as judicial review granted”.